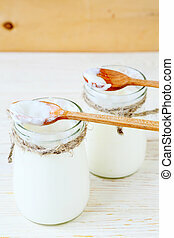 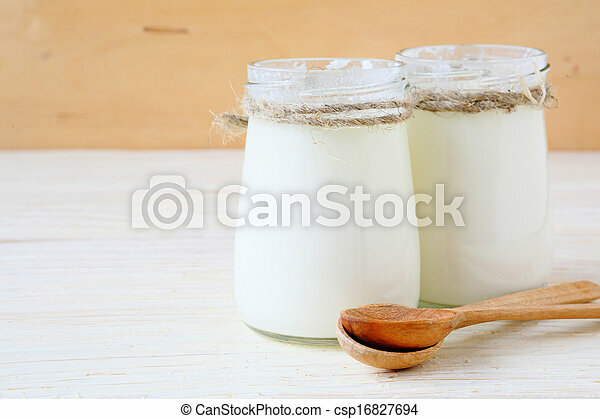 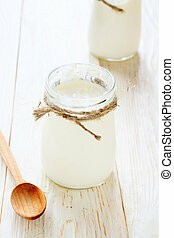 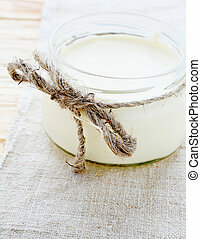 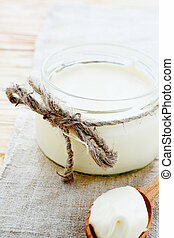 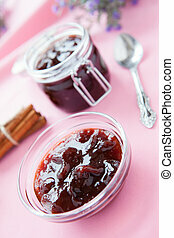 Fresh yogurt in a jars on wooden background, food. 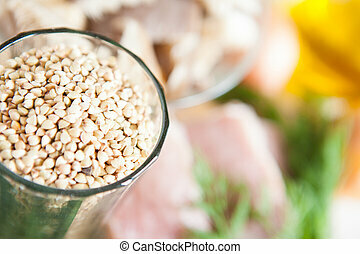 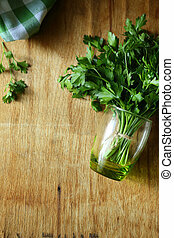 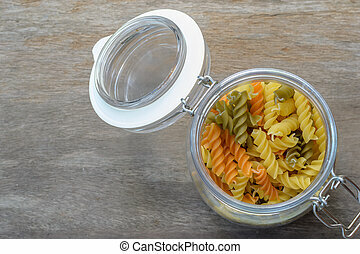 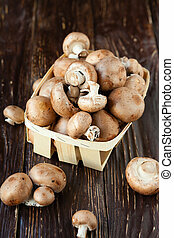 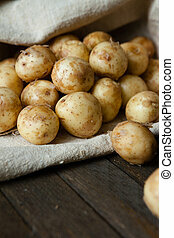 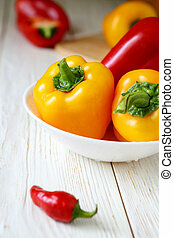 macaroni in glass jars on a wooden background. 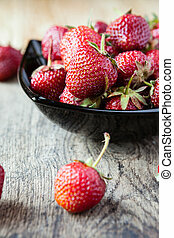 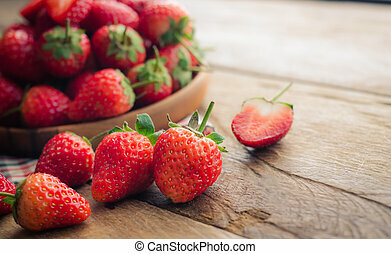 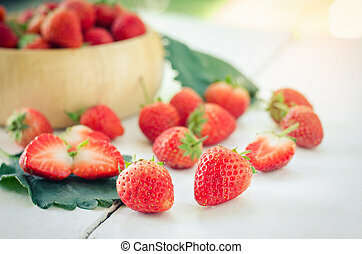 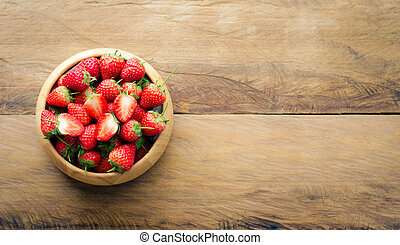 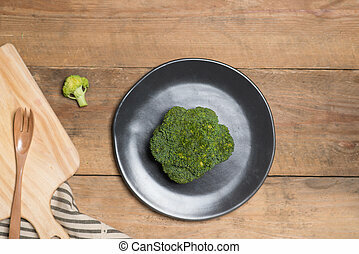 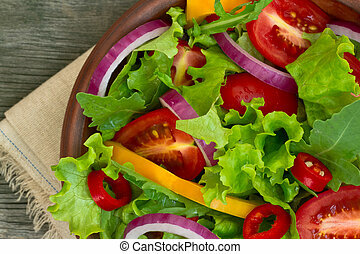 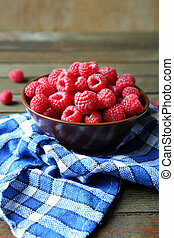 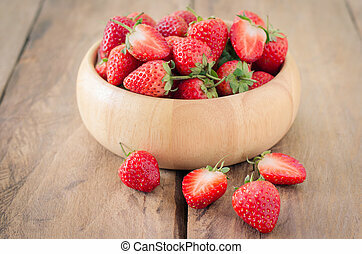 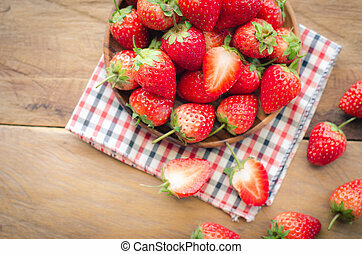 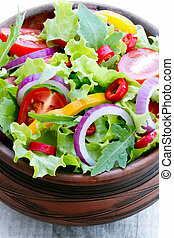 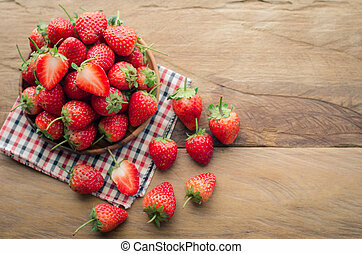 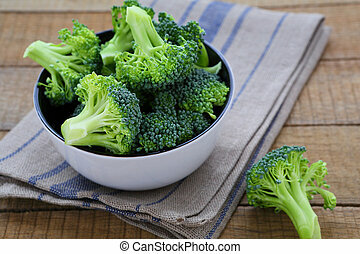 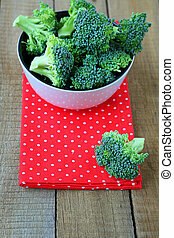 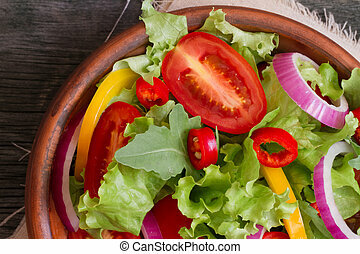 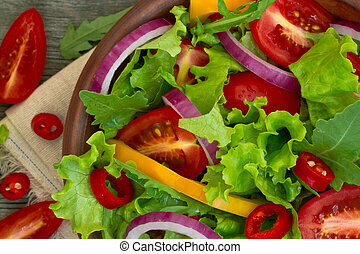 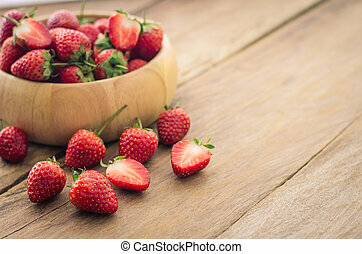 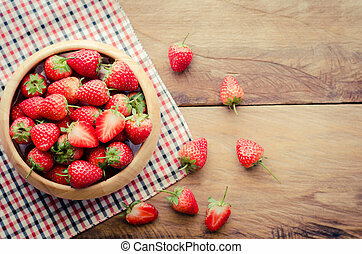 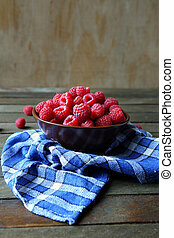 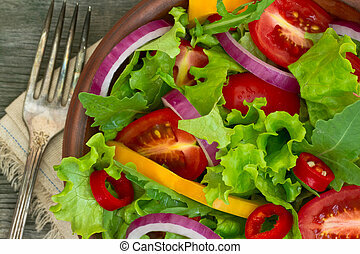 Fresh strawberries in a bowl on wooden background.